What Does the Bend in the Pipe Below My Sink Do? Most of the plumbing in your home remains hidden from view. The pipes snake between the walls, under the floors, and through closed-off utility rooms. But there is one section of plumbing that you probably know well, and that’s the drainpipes located directly below your sinks. You see these any time you open up the cabinet doors to retrieve something. Every time you do this, you’ll see an oddity about this piece of piping: the odd U-shaped bend it makes before it enters the wall. That bend in the pipe serves an important purpose, but it can also lead to plumbing troubles as well. We have 22 years of experience serving Vermont and New Hampshire. 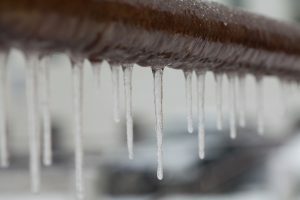 Should you encounter trouble and need plumbing repair in Southern Vermont, call HB Energy Solutions. The bend in the drainpipe that you see is called the “p-trap.” The reason for the name is that the bend makes the pipe resemble a “P” with an open back when looked at from the side. (And you thought it was going to be called a “u-pipe” or something like that.) What it traps is water: after water pours down the drain, gravity traps an amount down within the bend. As long as water runs down the drain regularly, the p-trap will remain filled. This water plug does the important job of stopping sewer gases from decaying material further down the pipe from coming back up and escaping through the drain. Without the p-trap, sewer odors would invade your home constantly. Should your p-trap dry up—something that happens in sinks that aren’t used for a long stretch, like one in a guest room—the empty trap will allow the sewer odors to come up. If you encounter foul smells in areas with an unused sink, run some water down the drain for a few minutes, and that should take care of the problem. P-traps can become sources of clogs. When debris that shouldn’t go down a drain does, it will often catch in the p-trap. Over time, the p-trap will develop a congestion of soap scum, hair, and food (depending on where the sink is located) that will lead to a slow drain or clog. Too much contamination can also lead to corrosion and leaks. For serious clogs (anything a plunger cannot handle) you must have the assistance of professional plumbers armed with motorized drain snakes and hydro-jetters. Do not attempt to take out a set of wrenches and unscrew the p-trap yourself: this risks disaster. Instead, reach for the phone and call for plumbing repair in Southern Vermont from HB Energy Solutions. We offer full plumbing services to take care of all your needs, from blocked pipes to water heater installation. Posted in Plumbing | Comments Off on What Does the Bend in the Pipe Below My Sink Do? 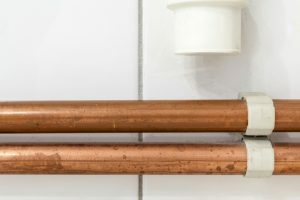 I Smell Sewage: Should I Schedule Plumbing Repair in New Hampshire? The smell of sewage in your home or business can be a cause of great concern. Is there a plumbing leak? Are there gases or waste products in my house? Should I schedule plumbing repair? Whether you live in New Hampshire or Vermont, it’s imperative you get plumbing problems fixed right away. If the sewer line has ruptured, you can spot signs beyond the smell that can alert you to the problem. The ground in your yard may become soggy, or you might notice that the grass is greener and more vibrant than the surrounding plant life (which means it’s being fertilized by the sewage form the line). You may also hear a bubbling sound or see bubbles in your toilet. It may also be that your plumbing system is having issues with its drain traps or vents, which keep sewage smells from entering your house. If that’s the case, then you need to summon a trained professional as quickly as possible to discover the problem. Your vents or traps may be faulty, with a broken seal or an inability to hold sufficient amounts of water in the system. Clogged vents happen too, and with the clogs can come a suspicious sewer smell. Again, however, a qualified expert can conduct repairs: replacing the seal, plugging any leaks and cleaning clogged vent pipes no matter where they are in the house. Repairs can thus run a broad gamut from a simple clog or faulty seal to a wholesale installation project. Regardless of the source of the sewage smells, however, you need a reliable and professional expert on your side to help. You also need to trust them to accurately assess the causes and to implement a solution that’s going to work. At HB Energy Solutions, we are fully insured and licensed, with a dedication to 100% customer satisfaction. We provide free estimates so you know what to expect before going in. Pick up the phone and call today if you need plumbing repair in New Hampshire. Posted in Plumbing | Comments Off on I Smell Sewage: Should I Schedule Plumbing Repair in New Hampshire?